I also love that you remember the reindeer too with carrots. They do the hard work after all, right? LOL YEP, the reindeer certainly need their strength! Hope your count down is going well. Love your post! Am intrigued by 'Santa's key'....and love your number 10: that's what it's all about, isn't it?! Haven't you ever heard of Santa's key? It's a big brass key you hang next to the front door when you don't have a fireplace! 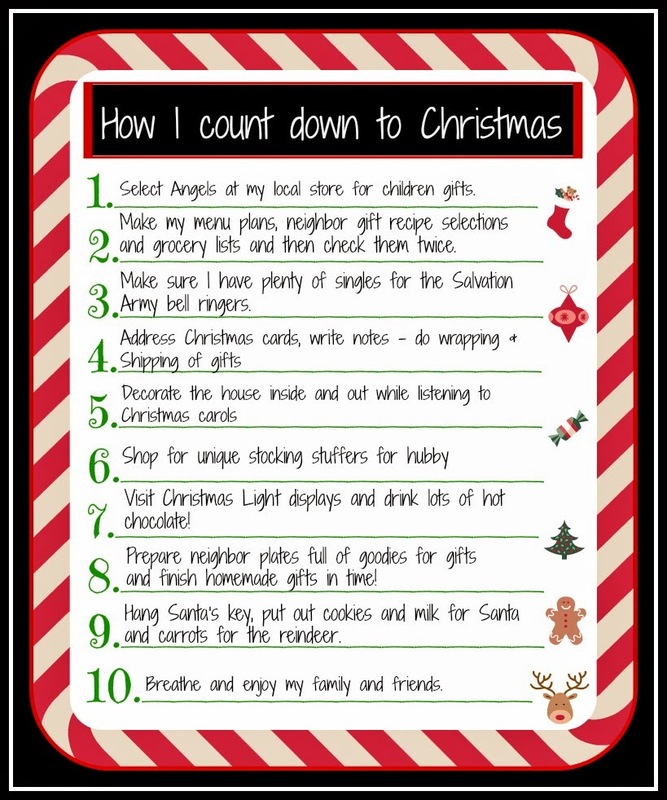 Beautiful countdown :) I breathed a sigh of remembered contentment at the end of your list. I look forward to that, too...very much! Thanks - that's what it's all about in the end - enjoying family and friends.